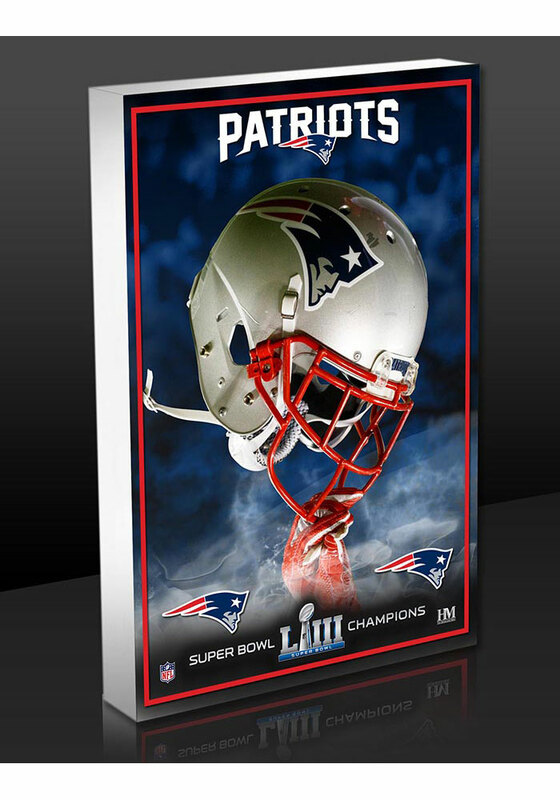 Put a little Patriots spirit on your walls with this New England Patriots Super Bowl LIII Champions 3D Acrylic BlocKart 4x6 Wall Art. This Wall Art features a 3D acrylic block commemorating the New England Patriots and their Super Bowl 53 Championship. This 4x6 BloKart is a limited edition of only 5000 therefore accompanied by a certificate of authenticity and delivered in a gift box for the perfect touch of Patriots spirit in any room. Go Patriots!